Motocross bikes tend to take a huge amount of punishment and because of this, need to be maintained to a higher quality than would be expected. 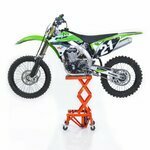 The ideal tool for any form of motocross maintenance is a motocross lift. 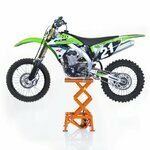 Our Motocross lifts are ideal for most forms of motocross bikes such as Enduro, Trial, MX, or Supermoto. 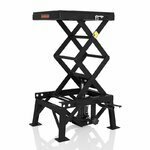 Motocross stands ensure your safety while working and provide an excellent work environment, allowing you to access hard to reach areas on your bike. 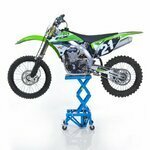 Our motocross lifts feature a crosslift design that ensures maximum weight distribution and therefore, maximum support. 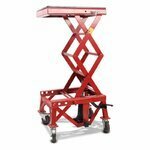 The lifts are crafted from extremely high quality materials to ensure maximum possible strength. 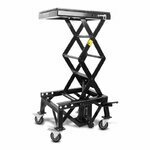 Our stands have a max height of 90 cm and a load capacity of up to 135kg. 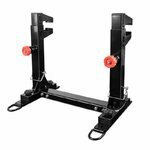 The stands have a hydraulic pump to ensure easy use and added safety and they are mounted on durable double caster wheels for lift mobility. 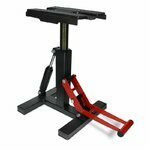 The stand allows for easy mounting to make maintenance even simpler. Shipping approx. 22-24 business days. When you buy from BS Motoparts, we have made the experience totally save, secure and guarantee all our products. 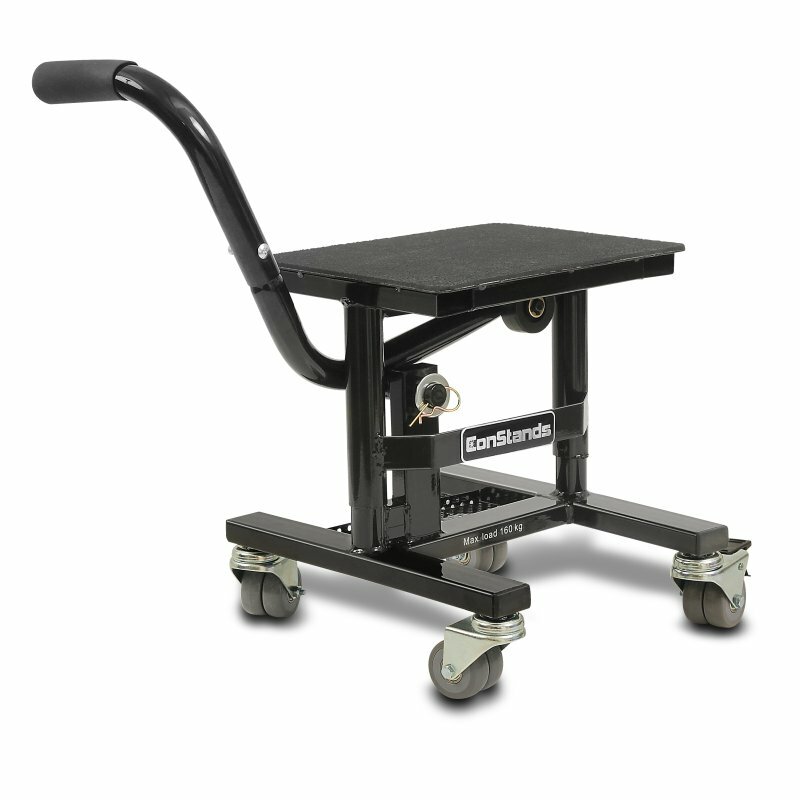 For your peace of mind, we provide a 30-day full money-back guarantee on all of our products. To ensure you get your hands on your purchase quickly and with no hassle, we provide fast delivery from our German warehouse and offer free shipping for any purchases of 69.90 GBP to any location in the UK. Our payment gateways are completely secure and use the latest encryption technology to ensure you online shopping safety. If you have any queries whatsoever, we have a fully English customer support centre that is available from Monday to Friday between 8:00 a.m. and 4:30 p.m.